Legislation that was supposed to guarantee insurance coverage for expensive autism treatments for hundreds, and possibly thousands, of autistic children is failing families because of an 11th-hour amendment added in Albany, the I-Team has discovered. Among the autistic children who have been denied insurance coverage is Sierra Schwartz, a 2-year-old from Oakland, N.J., who was diagnosed with mild autism shortly after she was born. Her father, Andrew Schwartz, who is covered by New York-based Empire Blue Cross Blue Shield, said he was counting on insurance reimbursements, but now will have to find the money elsewhere. 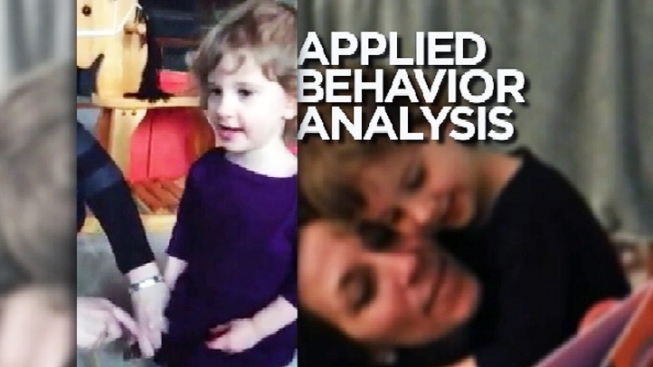 Schwartz said a physician recommended his daughter get a common therapy known as Applied Behavior Analysis (ABA), but the insurer cited a little-known regulatory clause in order to deny the claim. In 2011, Gov. Andrew Cuomo signed a bill mandating health insurers reimburse for ABA, but just before the law took effect in 2012, the New York Department of Financial Services made an emergency amendment to the regulation. The amendment allows insurance companies to deny coverage if an ABA provider does not also possess an additional license for psychiatry, psychology, social work or similar professions. Most ABA providers are not state-licensed counselors and New York does not offer a license specifically for behavior analysts. “This drastically reduces the number of providers that are able to deliver this treatment and get reimbursed through health insurance in New York,” said Jamie Pagliaro, co-founder of Rethink Autism, a company that produces videos and teaches parents about ABA. Pagliaro estimates there are 700 board-certified behavior analysts in New York, but perhaps fewer than 50 of them also hold additional state licenses in psychiatry or social work. That would mean only 50 ABA practitioners are covered in New York to treat as many as 20,000 kids with autism. “For example, right next door in New Jersey, the law does allow board-certified behavior analysts to implement ABA treatment without a license,” Pagliaro said. ABA treatment, which can cost as much as $150 an hour, involves one-on-one sessions where autistic children learn social interactions like eye contact, often through repetition and reward. The sessions are led by practitioners who are certified by the nationally recognized Behavior Analyst Certification Board. To qualify for BACB certification, a practitioner must hold a master’s degree and have completed hours of clinical experience. When the Schwartz family couldn’t find an alternate ABA provider who also held a New York state license in psychology, psychiatry or social work, they decided to pay for Sierra’s treatment out of pocket. “Whatever it took to provide our daughter with therapies, we made sure she had it,” said Schwartz. Deborah Fasser, spokeswoman for the New York State Conference of Blue Cross Blue Shield Plans, said there is good reason to be skeptical of ABA providers who are not licensed. The sponsor of the original autism bill, State Sen. Charles Fuschillo, R-Merrick, said it was never his intent to exempt board certified ABA providers from the coverage mandate simply because they don’t have state licenses. "They re-wrote the law," Fuschillo said. "They re-wrote the intent of the law. We have to ensure that these families are provided these services. We’re pushing back." A spokesman for Cuomo told the I-Team the administration is now working on a number of approaches to solving the issue and expects a resolution soon. The governor’s office has not explained why the emergency amendment was approved in the first place. The I-Team examined 2011 and 2012 New York lobbying disclosures and found insurance companies paid nearly $3 million to lobbyists that reported working on the autism bill. Advocacy groups that support families with autistic children spent $264,000. The New York Health Plan Association, which represents 22 health plans, opposed the original autism insurance coverage mandate. “What we have found is when you mandate coverage that drives up cost,” said spokeswoman Leslie Moran. Although the insurance industry opposed the coverage mandate for autism treatment, Moran said the Health Plan Association agrees with autism advocates that emergency amendment enacted by the Department of Financial Services had the effect of creating a shortage of qualified ABA practitioners. The Health Plan Association "repeatedly raised apprehension that plans would not be able to establish an adequate network of providers,” Moran said. “We also were concerned about possible problems that might arise when/if consumers were unable to access services because of the lack of providers – which appears to be what we are now facing,” Moran said.